Your favorite fried comfort foods no longer require a restaurant, and space won’t be an issue, either. 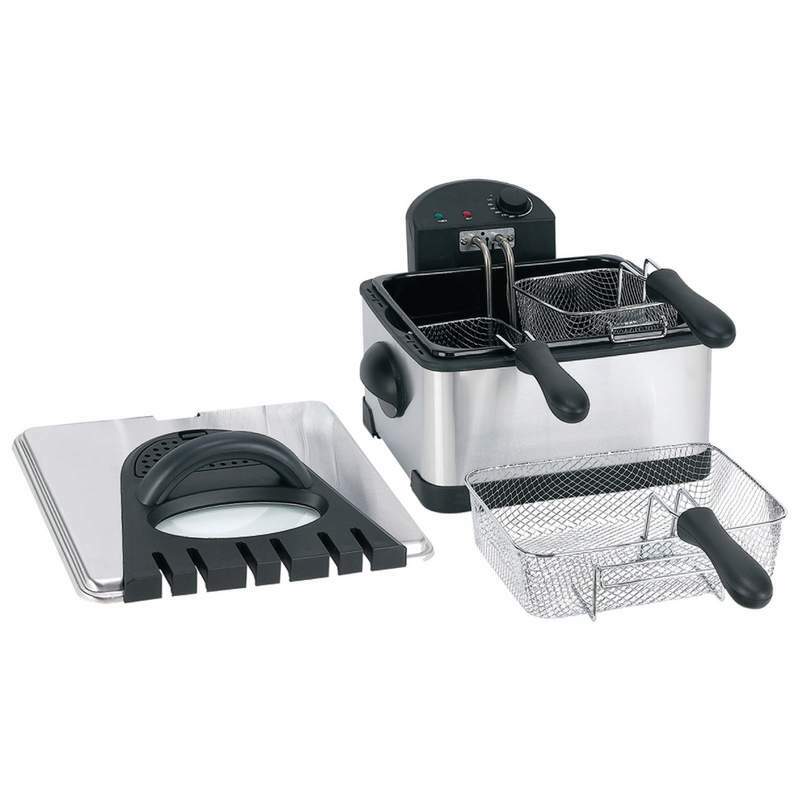 The Maxam® 4qt Electric Deep Fryer packs 1700 watts of power and an immersed stainless steel heating element that’s removable. A variable temperature control allows you complete cooking control. Comes with two small frying baskets with insulated handles, one large frying basket with an insulated handle, and a stainless steel cover with view window. The enamel inner pot and grease filter make for easy cleaning. Limited 5 year warranty. Gift box.